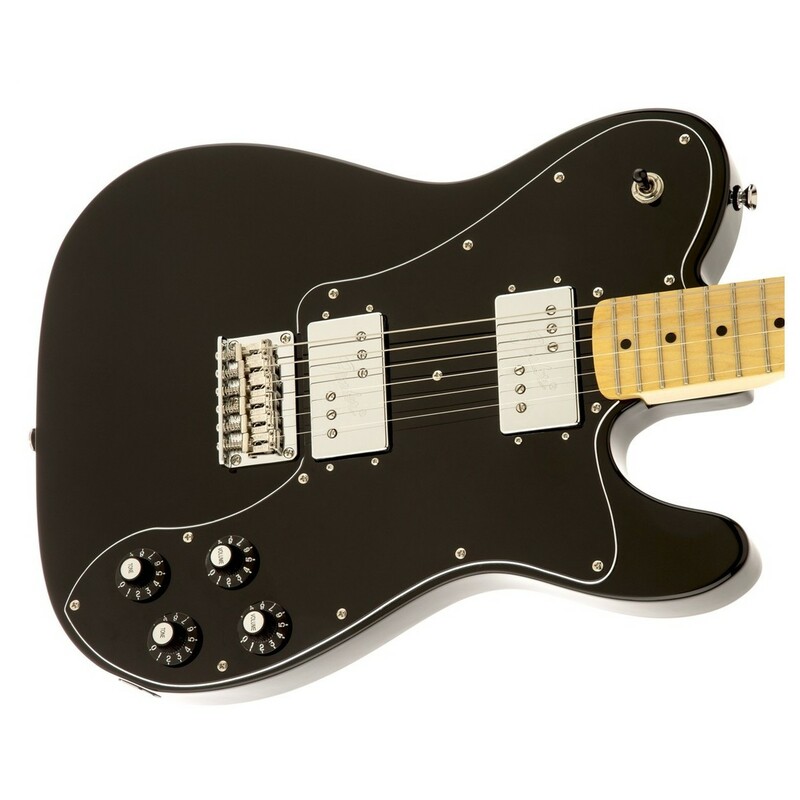 The Squier by Fender Modified Telecaster Deluxe guitar in Black is armed with all-new Fender-designed Wide Range humbucking pickups, that deliver an incredibly full tone with plenty of cut. 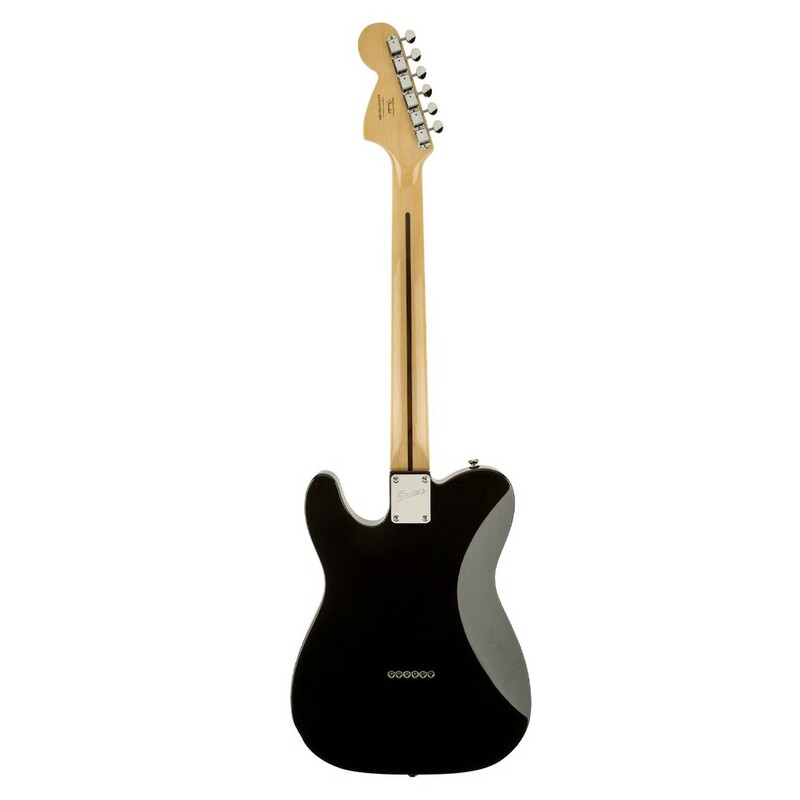 Its iconic Telecaster body is crafted from basswood, offering a lightweight guitar that can be wielded all night long. A comfortable C-shaped neck provides total comfort, while the single cutaway body allows for fluid hand flexibility across the whole fingerboard. Additional features include a 6-Saddle chrome string-through-body, stamped saddles, Stratocaster headstock and 21-fret maple fingerboard and many more. With all these great features and affordable price, the Squier by Fender Vintage Modified Telecaster is the perfect choice for all abilities. The Squier by Fender Vintage Modified Telecaster features a basswood body that's lightweight and produces a fat, well balanced tone with a muscular midrange, and a soft and breathy feel to its sound. 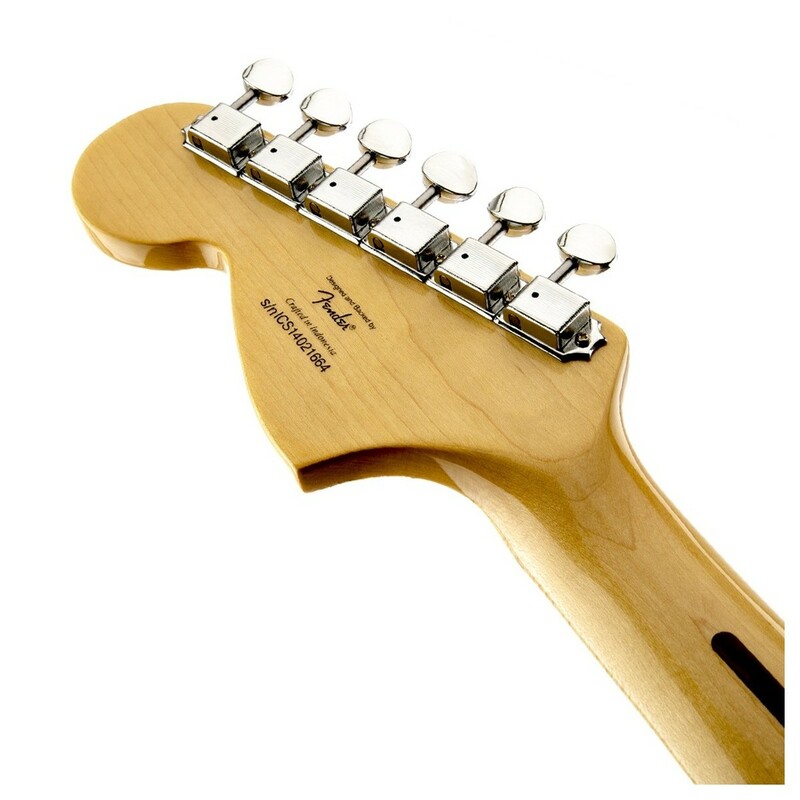 Players can also benefit from the familiar Telecaster body shape, that allows easier access to the higher frets and fluid hand flexibility across the whole fingerboard. For aesthetic appeal, the Gloss Polyester finish protects the guitar from wear and tear, and gives it a smooth texture. The neck has a comfortable "C" profile, while the maple fingerboard is mounted with 21 medium jumbo frets for easy string bends and vibrato. The fingerboard has a modern 12'' radius to provide a lower action and faster playability. The original Deluxe Telecaster introduced humbucking pickups to satisfy the demands of guitarists of the time. 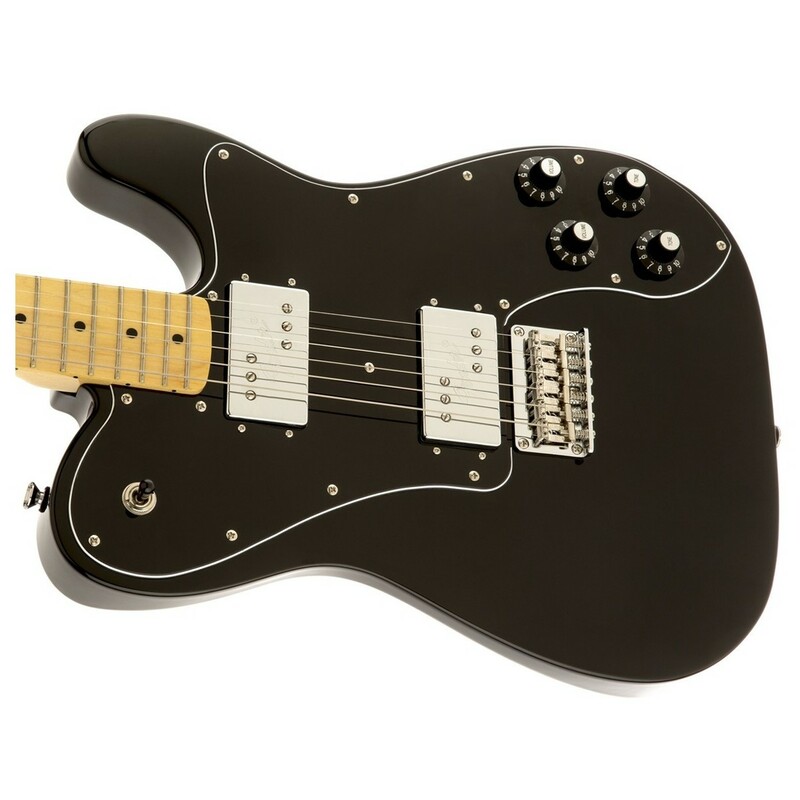 This Deluxe Telecaster features similar "Wide Range" humbuckers to deliver a full frequency response which makes the most of the resonant solid body design. 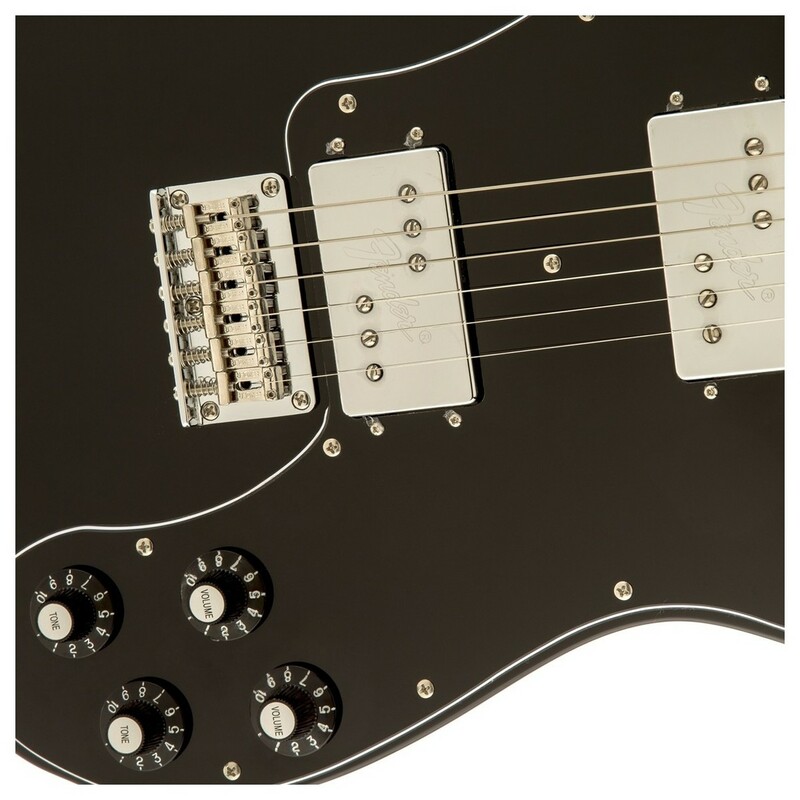 The pickups are wired with a 3-way switch and dual volume/tone controls for all your tone shaping requirements. This provides a versatile setup that can achieve a large range of sounds.